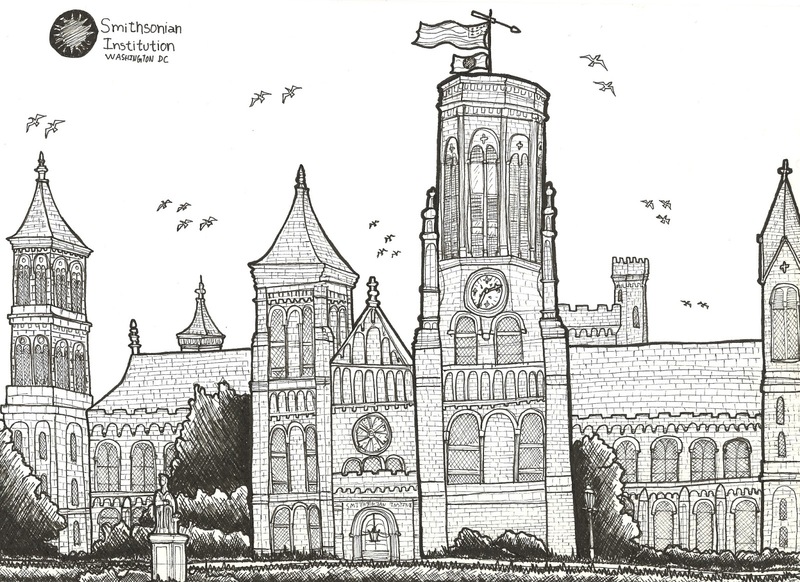 During the world wide 38th SketchCrawl I decided to sketch The Smithsonian Institution (The Castle), it is a very interesting building to sketch. There are many interesting details and spaces to explore. It is very different compare to the other Classical style white color buildings around the mall in Washington DC. 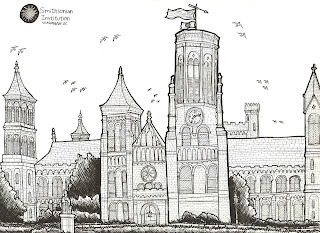 Specially the red sandstone colors and the late Romanesque and early Gothic motifs that it has. It was a very nice sunny day with a lot of people 2 days before the Presidential Inauguration. It took me 3hrs enjoying the sun and listening to the people walking by.